CDU Press is pleased to announce the recent addition of two new books to the collection. 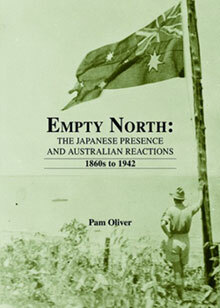 Empty North by Pam Oliver considers the positive nature of Japanese immigration to the north of Australia alongside the fear many Australians developed of Japanese resident in white Australia after 1901. The book examines key questions pertaining to the Japanese presence and Australian reactions from the 1860s to 1942. RRP including GST = $54.95. The Long Road to Territory Health by David Lo provides an intriguing insider's account of the Northern Territory's health between 1965 and 1985, a time of great changes in the Territory. A useful profile of the Territory population's health – both Indigenous and non-Indigenous – is provided, along with David’s personal accounts of the Territory, the evolution of its health services, and its health professionals during that period. RRP including GST = $19.50. Both books are now available from the CDU Bookshop located on Charles Darwin University’s Casuarina Campus. For more information on the above books and many others go to www.cdu.edu.au/cdupress/.